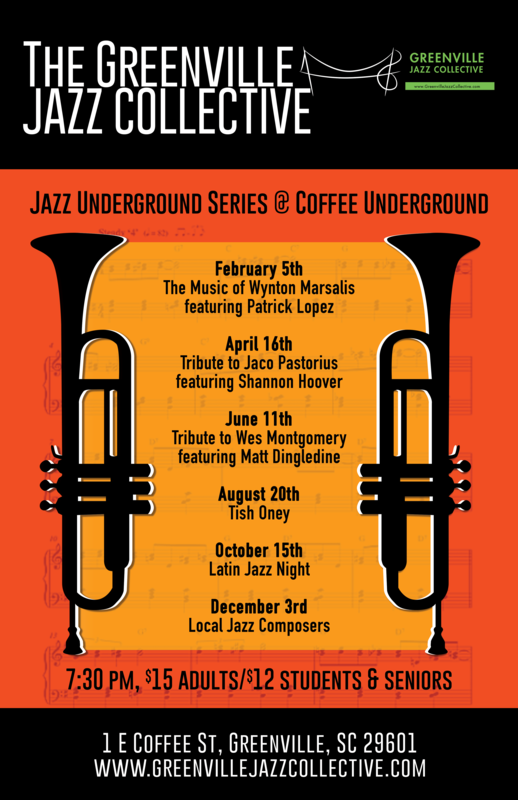 “Jazz Underground” Series at Coffee Underground 2019! “Tribute to Jaco Pastorius” featuring GJC Bassist and Music Director Shannon Hoover and the GJC Quintet! GJC Youth Jazz Ensemble opens the show! Grab tickets for this one early! The last show was sold out!